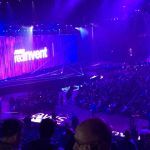 LAS VEGAS, Nevada, November 28, 2017 — Anodot, an AI-powered analytics company, announced today at AWS re:Invent 2017 that it has achieved Amazon Web Services (AWS) Machine Learning (ML) Competency status. This designation recognizes Anodot as a SaaS/API Provider, offering a solution that enables predictive capabilities within customer applications. Achieving the AWS ML Competency differentiates Anodot as an AWS Partner Network (APN) member that has built solutions that help organizations solve their data challenges, enable machine learning and data science workflows or offer SaaS/API based capabilities that enhance end applications with machine intelligence. Attaining the AWS ML Competency demonstrates to its customers that Anodot has validated ML expertise on AWS. Anodot’s AI Analytics uses patented machine learning algorithms to isolate and correlate issues across multiple data metrics in real time, supporting rapid business decisions. In effect, Anodot uses machine learning to discover and solve incidents that otherwise would become major losses for companies that could hurt revenue or damage a company’s brand. Anodot correlates the anomalies it discovers across multiple systems, such as AWS, business systems, application events, and more. Anodot and Amazon Web Services are working together to provide organizations critical observations using Machine Learning to give valuable business insights based on real time data analysis. One of the largest ad exchanges in the world, Rubicon Project uses proprietary computing systems to automate the buying and selling of advertising. Working with Anodot for more than two years, Rubicon’s systems process more than twice as many transactions as the Nasdaq stock exchange. Anodot illuminates business blind spots with AI-powered analytics, so you will never miss another revenue leak or brand-damaging incident. Its automated machine learning algorithms continuously analyze all your business data, detect the business incidents that matter, and identify why they are happening by correlating across multiple data sources. Anodot customers in fintech, ad-tech, web & mobile apps, and other data-heavy industries use Anodot to drive real business benefits like significant cost savings, increased revenue and upturn in customer satisfaction. The company was founded in 2014, is headquartered in Ra’anana, Israel, and has offices in Silicon Valley. Learn more at: http://www.anodot.com .